Artist Laura Põld created an alternative path inside the permanent exhibition, telling a story of the town, its natural resources and manufacturing history, but in a more abstract and poetic manner. Initially, the artist had a plan to work with the charismatic ruins of the old cement factory and chimneys, but allowing visitors there would have been too dangerous. Therefore, the artist brings some of this sense of architectural heritage to the interior, creating monumental objects where different artefacts like former publication of town’s Volunteer Firefighters' Association, as well as ceramic objects and discovered fossils have found their place. Fluid shapes and fluid use of material, characteristic to the artist, does not draw a clear line between natural and artificial, objects that have been found and the ones man-made, the new and the old. Getting familiar with manufacturing processes and raw material quarries of Kunda’s Nordic Cement factory during her residency, Põld drew inspiration from the blue clay of the local Lontova formation. Laura Põld is a very process-focused artist – she reaches the final format by experimenting a lot with the materials. The creation process of this intervention in the permanent exhibition was also long and labor-intensive, Põld experimented with the techniques of making natural clay plaster and adjusted it to her sculpture-like objects. Põld draws inspiration from primitive ceramics, traditional African architecture, the qualities of the natural materials and above all from the place she is working at, trying to capture its genius loci, its ‘spirit of place’. 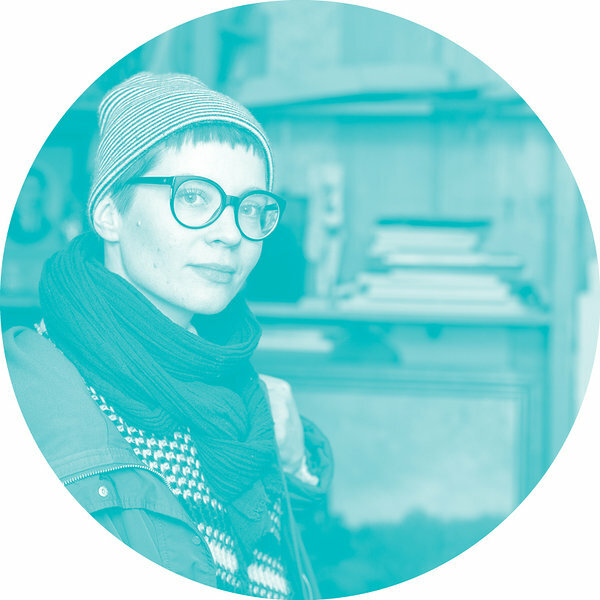 … has a bachelor’s degree in Ceramics from the Estonian Academy of Arts and master’s degree in Painting from University of Tartu; she lives and works in Tallinn and Vienna. Her work, mostly site-specific, deals with the experience related to sense of landscape, material and place. By combining different mediums such as painting, installation, ceramics, video and text and reusing existing materials she creates landscapes of perception blended in with the space (of the gallery). The museum visitors can familiarize themselves with how cement was invented and first put to use, the process of manufacturing it and the history of Kunda cement factory. Visitors will also learn why and how people started manufacturing stone, get to know today’s cement industry and can go through an analog of a gigantic rotary kiln, as if being clinker grinding in the furnace. The history of the town of Kunda is completely intertwined with cement manufacturing, from the entrepreneurial manor owner John Karl Girard de Soucanton (1826–1896), commonly known as Suka Anton, to the modern AS Kunda Nordic Cement factory today, praised by both its employees as well as townspeople. The days when grey dust covered Kunda are in the past and the town’s various formations make for an exciting exploration for both local as well as foreign tourists. 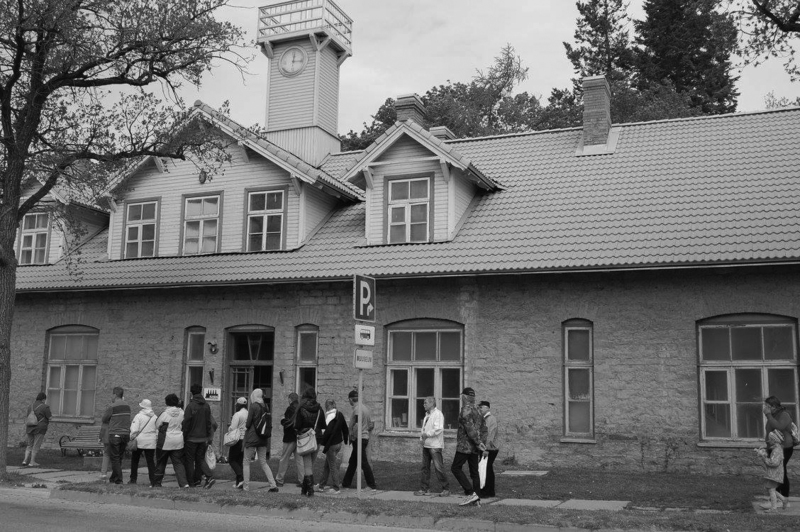 When in Kunda, make sure to also visit the old industrial landscape of Kunda, the hydropower plant, historical Lontova settlement with its adventure park and Blücher café, and if the weather is good, the beach is a must! Laura Põld’s museum residency took place 12–16 March 2018. The residency was supported by Kunda Cement Museum. As part of the residency we also visited the factory and quarry of Kunda Nordic Cement, a big thank you for the exciting tours! Interesting information about the history of cement manufacturing was also shared by Uno Trumm.